Joe Young was born on July 11, 1945, in Calistoga, California. After graduating from Sacramento State College in 1967, he entered Officer Training School on October 2, 1967, and was commissioned a 2d Lt in the U.S. Air Force at Lackland AFB, Texas, on December 22, 1967. Lt Young next completed Undergraduate Pilot Training and was awarded his pilot wings at Randolph AFB, Texas, in March 1969, followed by Pilot Systems Operator training and F-4 Phantom II Combat Crew Training from June to December 1969. His first assignment was as an F-4 Pilot Systems Operator with the 34th Tactical Fighter Squadron at Korat Royal Thai AFB, Thailand, from January 1970 to January 1971, and he then attended regular F-4 pilot upgrade training at George AFB, California, from February to September 1971. Capt Young returned to combat as an F-4E pilot with the 469th Tactical Fighter Squadron at Korat in November 1971, followed by service as Wing Weapons Officer and then Wing Weapons and Tactics Officer with the 388th Tactical Fighter Wing at Korat from May 1972 until he was forced to eject over North Vietnam and was taken as a Prisoner of War on October 12, 1972. After spending 169 days in captivity, Capt Young was released during Operation Homecoming on March 29, 1973. He was briefly hospitalized to recover from his injuries at March AFB, California, and then served as an F-4 Fighter Weapons Instructor, Administrative Officer, and Maintenance Liaison Officer with the 414th Fighter Weapons Squadron at Nellis AFB, Nevada, from August 1973 to March 1977. 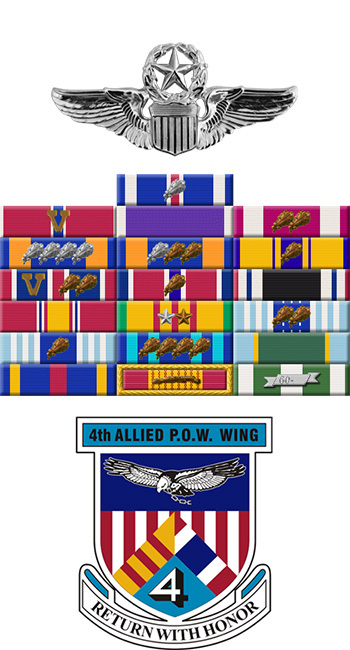 Maj Young next served as an F-4E pilot and then as Chief of the Weapons and Tactics Division with the 50th Tactical Fighter Wing at Hahn AB, West Germany, from April 1977 to September 1979, followed by service as an Operations Staff Officer with Headquarters U.S. Air Forces in Europe at Ramstein AB, West Germany, from October 1979 to August 1982. 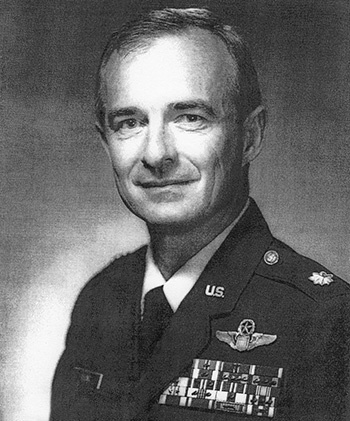 Lt Col Young served as an F-4E and then F-16A Fighting Falcon pilot and as Chief of Capability and Assessment with the 613th Tactical Fighter Squadron at Torrejon AB, Spain, from August 1982 to April 1983, and then served as Chief of the Stan/Eval Division with the 401st Tactical Fighter Wing at Torrejon from April to November 1983. His next assignment was as Operations Officer back at the 613th Tactical Fighter Squadron from November 1983 to July 1984, followed by service as Chief of Weapons and Tactics with the 401st Tactical Fighter Wing from July 1984 to August 1985. He served as an Air Operations Officer with the Air Force Inspection and Safety Center at Norton AFB, California, from August 1985 to July 1986, and then as Chief of the Fighter Operations Branch, Readiness Inspection Division, with the Air Force Inspection and Safety Center at Norton from July 1986 until his retirement from the Air Force on December 1, 1988. Joe Young died on July 8, 1998. Captain Myron A. Young distinguished himself by extraordinary achievement while participating in aerial flight as an F-4E Aircraft Commander over Southeast Asia on 1 October 1972. On that date, despite extremely intense antiaircraft artillery fire, several surface-to-air missile launches and very marginal weather conditions, Captain Young attacked and destroyed a vital ammunition and supply warehouse complex just west of Hanoi. With complete disregard for his own personal safety, Captain Young made several passes in the area to be sure of target acquisition, then accurately delivered his bombs on target which resulted in multiple secondary explosions. The professional competence, aerial skill, and devotion to duty displayed by Captain Young reflect great credit upon himself and the United States Air Force.